The American Indian Health Commission for Washington State (AIHC) partners with the Washington State Department of Health (DOH) Office of Emergency Preparedness and Response (EPR) to support Washington Tribal communities in strengthening capabilities to respond and recover from all-hazards emergencies and disasters. 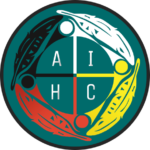 The AIHC acts as liaison between EPR and Tribes, as needed. The Commission also provides training and technical assistance to Tribes, urban Indian health organizations, DOH and other partners to develop, build and improve community, health, and medical systems that are well prepared to effectively respond to threats and disasters.